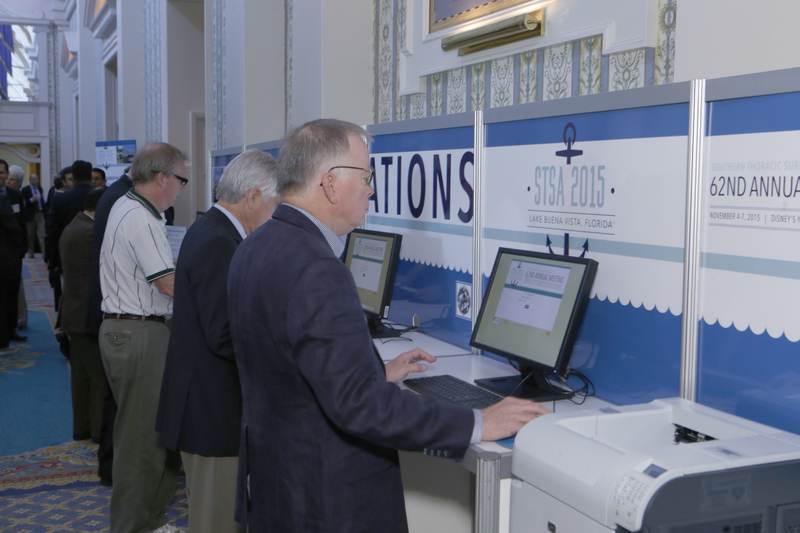 STSA 62nd Annual Meeting attendees evaluated and claimed CME credit on-site in Lake Buena Vista, FL. Saturday, November 21 is the deadline to evaluate and claim CME credit for the STSA 62nd Annual Meeting, which was held November 4-2, 2015 at Disney’s Yacht & Beach Club Resorts in Lake Buena Vista, FL. The Southern Thoracic Surgical Association is accredited by the Accreditation Council for Continuing Medical Education (ACCME) to provide continuing medical education for physicians. STSA designates the 62nd Annual Meeting for a maximum of 21.25 AMA PRA Category 1 Credit(s)™. Physicians should only claim credit commensurate with the extent of their participation in the activity. Non-physician attendees should complete the online evaluation in order to obtain a Certificate of Attendance. Claim your CME credit or Certificate of Attendance online. Once attendees have completed the online evaluation and selected the number of CME credit hours they would like to claim for each 62nd Annual Meeting session that they attended, they can e-mail or print their CME certificate directly from the website.